A timeless blazer by Hugo Boss, created in Italian virgin wool blended with stretch for comfort. 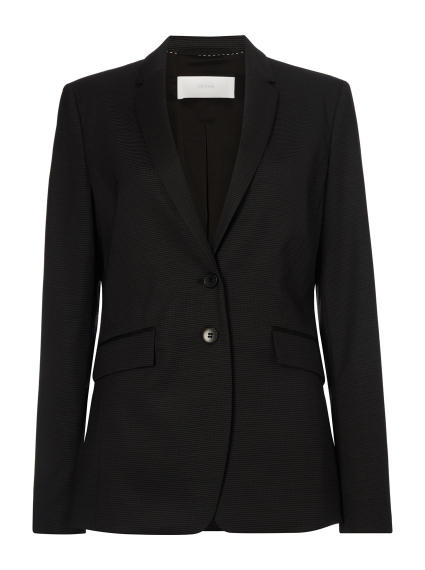 Cut to a straight fit with a flattering silhouette, this feminine jacket features a woven micro structure and is styled with notch lapels, flap pockets and slit cuffs. Combine it with the Deriba Dress to create a structured formal ensemble.